You have to love a bit of alliteration. I’ve done “ok” in my battle this week to combat food waste but really not great-an embarrassing amount of fresh produce wasted. sigh. Next week for sure. I am going to do a little preventative action though for next week. For some reason I have an embarrassing amount of mushrooms in my fridge right now. I don’t know how-perhaps they’ve had spring fever and bred in my dark fridge. Regardless, I’ve got to do something great with them and really soon. 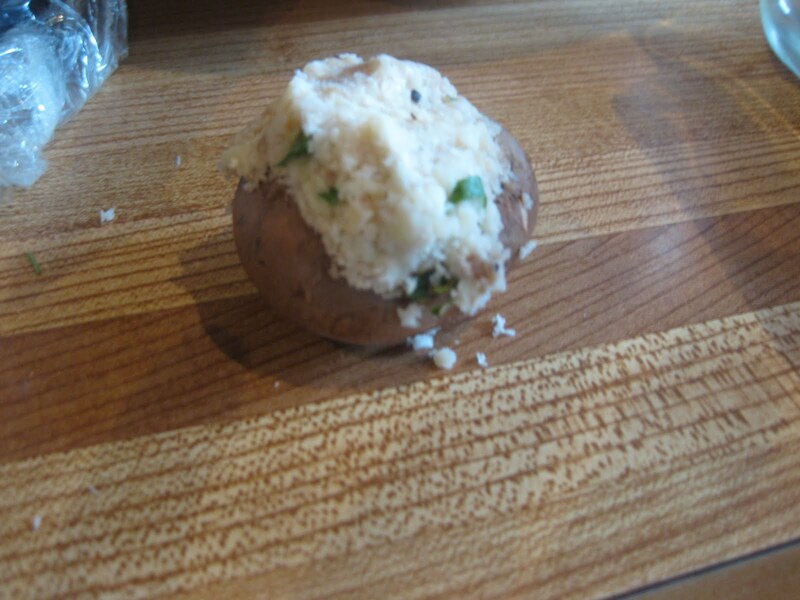 To that end I’m going to make stuffed mushrooms. Some we’ll scarf right away with a beverage on the patio BUT the rest I’ll freeze in a casserole dish for the next time we have a yen OR more likely we’ll be lucky enough to have people drop by and I’ll want to feed them. You can make your stuffing out of just about any combination of herbs. I’m going to keep these simple and stick to a bit of thyme and garlic as I don’t know else I will want to serve them with in the future. 1 cup breadcrumbs (you can make your own but I’m going to use panko because that is what I have in the house) dampened with 1 T. of water. 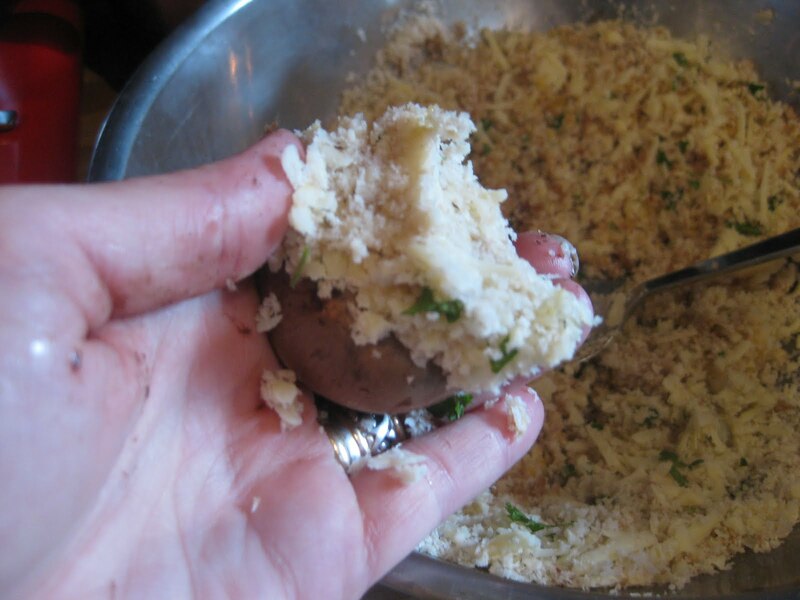 Add 3/4 cup of grated cheese (you can use parmesan, blue cheese, swiss… whatever you have in the house. I’m going to use a sharp cheddar). 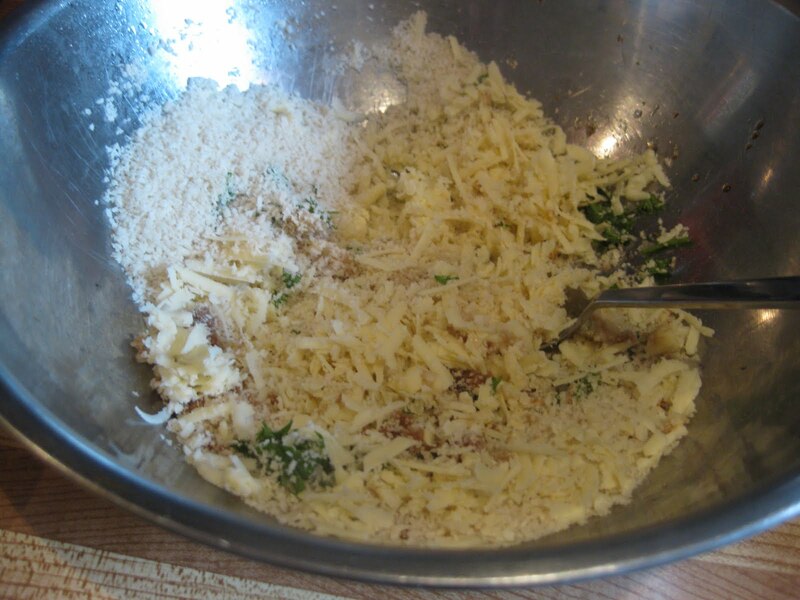 Mix in: 2 T. chopped parsley, 1 tsp. fresh thyme (or a scant 1/2 tsp. dried), dash of worsteshire, dash of olive oil, pepper and an optional glug of white wine (Don’t drink wine? How about a bit of chicken stock-that’s what I used-or a bit of lemon juice?). I really like chilli flakes so I’m also going to be adding a dash of them but don’t feel compelled. 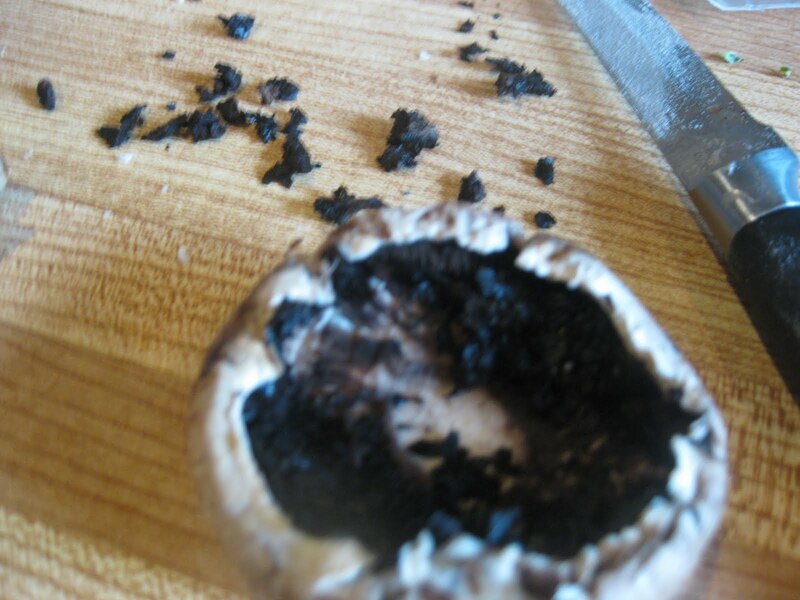 Clean your mushrooms and take the stems off. If the gills (the feathery bits) are large (the mushroom version of crow’s feet showing age) then scrape them out. 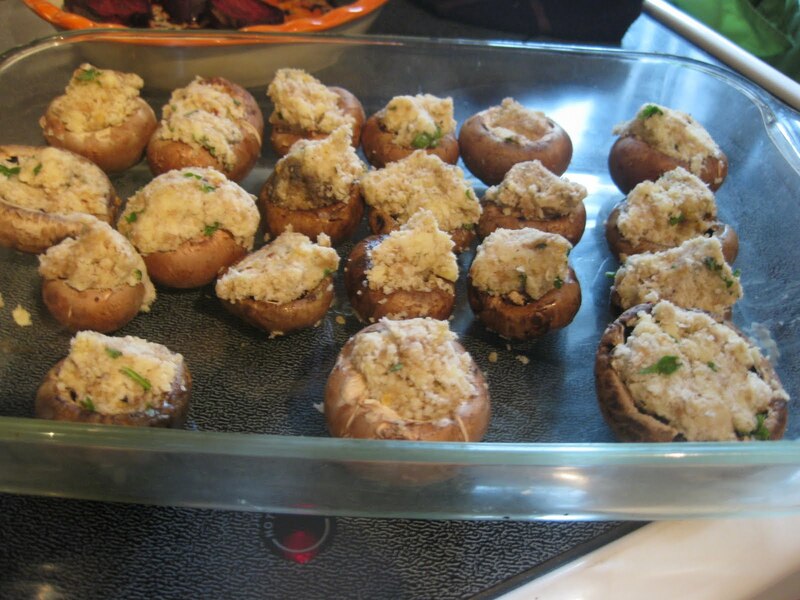 Take enough stuffing to really pack your mushroom caps. 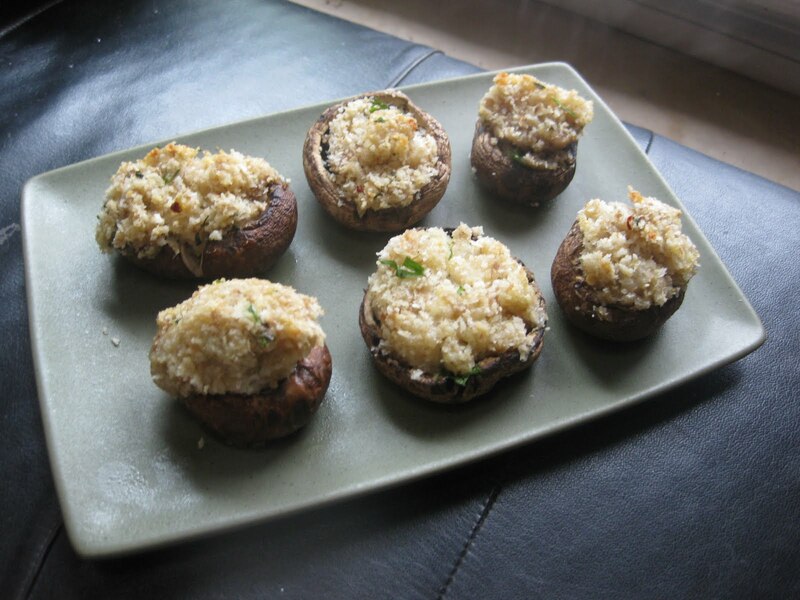 At this point either wrap your pan tightly in plastic OR wrap serving portions of these in foil OR bake at 350 until the mushrooms are tender and the cheese is gooey. Oh, Jane. You've made my year. This is wonderful. What's that? Seventeen times in five months? I'm either really easy to please, or you're fabulous.Okay. I know the answer. You're fabulous.